Be sure to send in your good wildlife photos, for I’m getting a bit nervous as the level in the tank drops. Reader Mark Sturtevant has some more insects for us today; his notes are indented. Here are more pictures of arthropods from a couple summers ago. 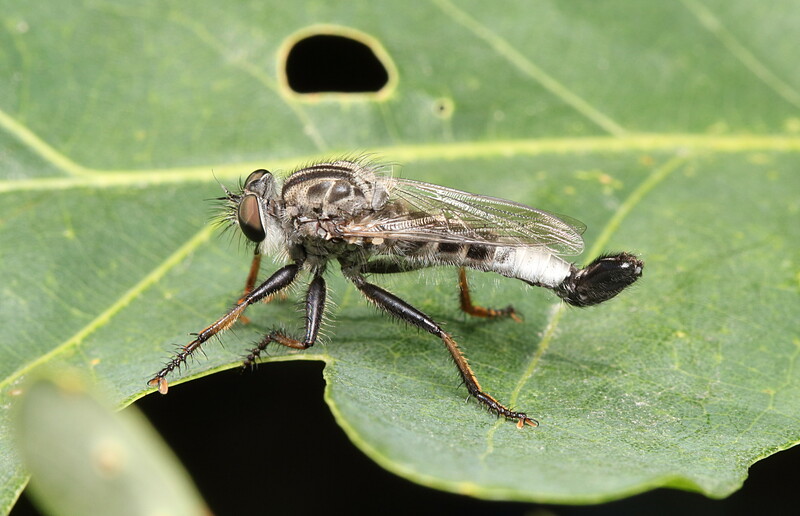 First up is a fairly large robber fly (Efferia, maybe E. aestuans). The enormous mating claspers identify it as a male. The next two pictures are of mating insects. In insects, it is common for males to stay ‘on’ their mate for a prolonged period, even after sperm is transferred, to increase the chance that she uses his sperm to fertilize eggs. The first are a pair of milkweed beetles (Tetraopes tetrophthalmus), which are colorful longhorn beetles with four compound eyes. The eyes are this way because their antennae have split the compound eyes. The white stuff is milkweed sap. 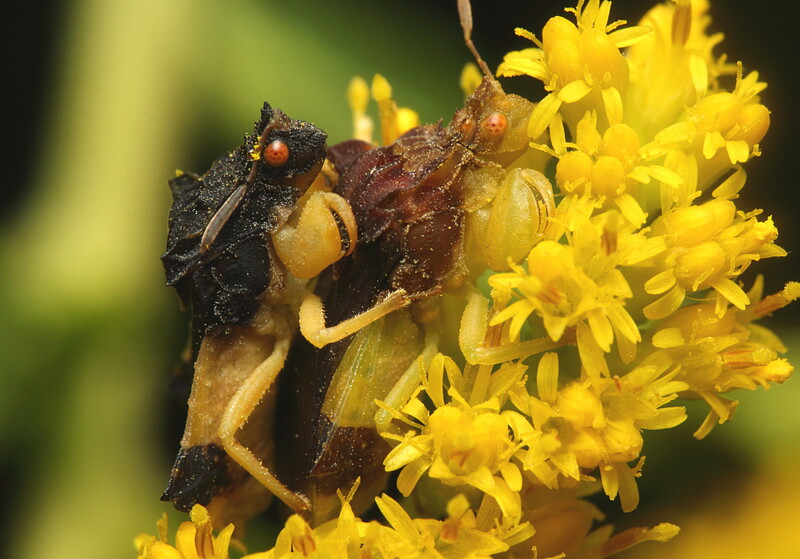 The other copulating insects are a pair of ambush bugs (Phymata pennsylvanica). These are actually assassin bugs that are sit-and-wait predators among flowers. 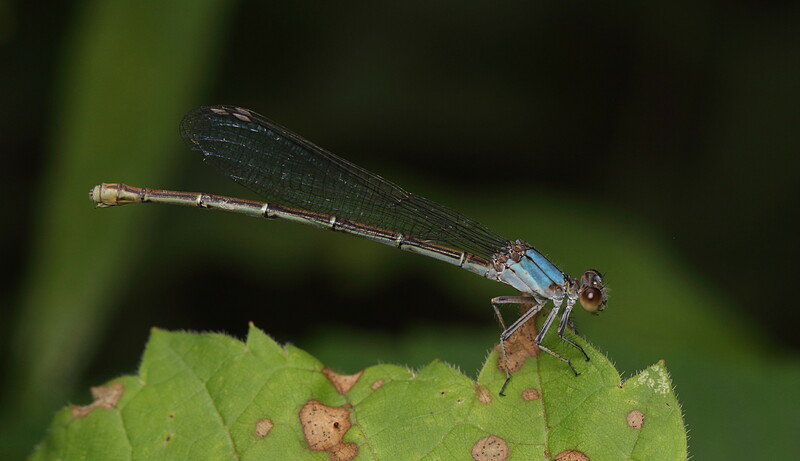 Next are a pair of damselflies which were found in close proximity to each other. The first is a male powdered dancer (Argia moesta). Males of this species become coated with a waxy bloom as they age, and this is one crusty Odonate! The next is what I call a ‘blue-form’ female damselfly. It is either a powdered dancer or a female blue-fronted dancer (A. apicalis). 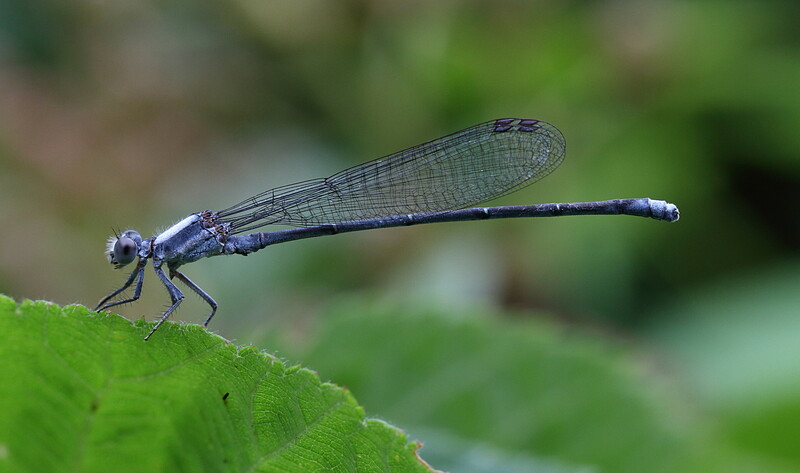 In damselflies, females are often rather plain in color but many develop the bright colors of males. The suspicion is that this is a kind of mimicry that helps them to avoid being pestered by males all the time. One day from my kitchen window I saw a distinctive triangular object on the roof of my shed in the backyard. An investigation soon confirmed that I had an underwing moth paying me a visit, which was very nice of it because I had been looking for one of these. With the help of a stepladder and butterfly net, I soon had this prize in a bug cage. Identifying most underwings to species can be challenging. It’s definitely Catocala, and it very much looks like Catocala unijuga, a species common in my area. The picture shows the brightly banded hind wings. Their strategy is common among insects but also quite clever. When at rest they keep their hind wings hidden, and then they can become nearly invisible on their preferred perching site which is on tree trunks. But in flight they will flash these bright colors, and so will signal to any pursuing predator that this is a brightly colored insect. Then they land (usually on a tree trunk) and fold up their wings to virtually disappear. The idea is that a predator would have a ‘search image’ for bright colors and ignore things that look like tree bark. A while ago I had posted a challenge here for readers to spot some underwing moths. That link is here. 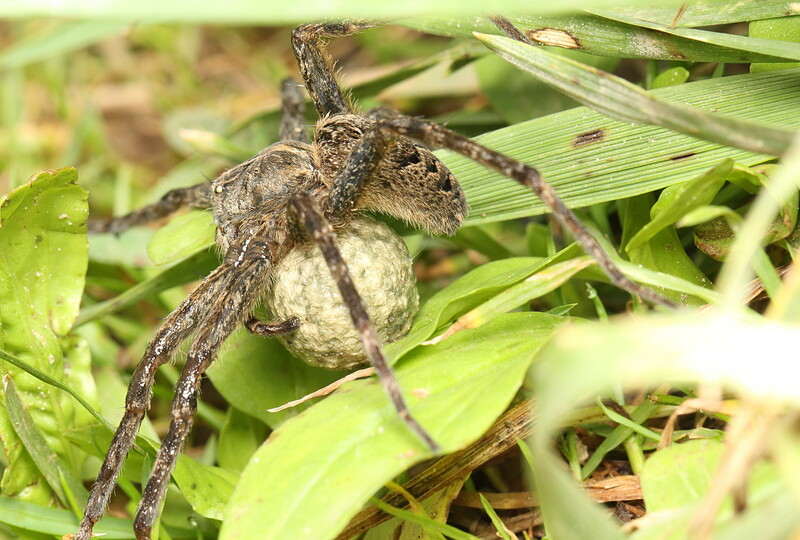 Next, we have a wolf spider carrying her egg sac in the manner that is characteristic of this family. This would be unremarkable except that she was easily the smallest adult wolf spider that I had ever seen. Her leg span would have barely covered a nickel! I suspect it is one of the thin-legged wolf spiders (Pardosa). 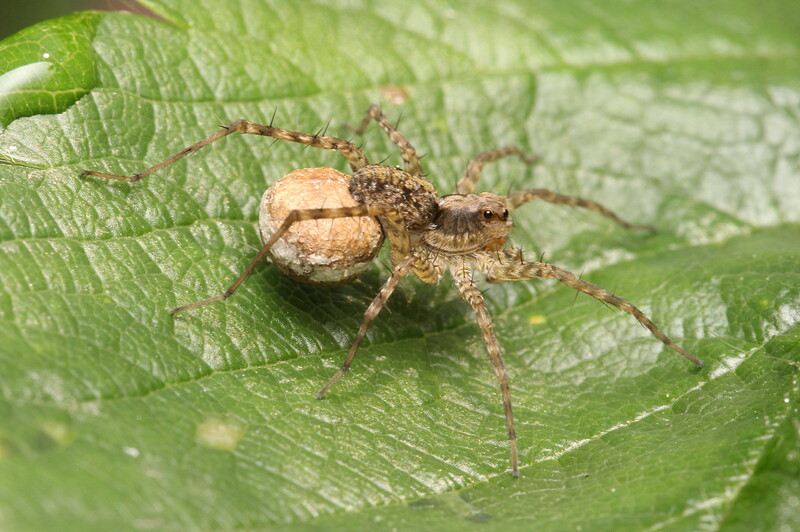 Nursery web spiders belong to a family closely allied to the wolf spiders. One difference is that females carry their egg sacs under their body, secured by their fangs. Our local species is Dolomedes tenebrosus, and they are really big. I often see the females guarding their ‘nursery’ of spider hatchlings near the top of plants. This is one of the few times I have seen one at the earlier stage, where she is still carrying an egg sac. We have a couple of apple trees and they are always interesting to inspect during different times of the season. During the fall, the apples drop from the trees and our local squirrels nibble on them. The fermenting juices from the apples attract insects. This last picture is of a visiting bald-faced hornet (Dolichovespula maculata). 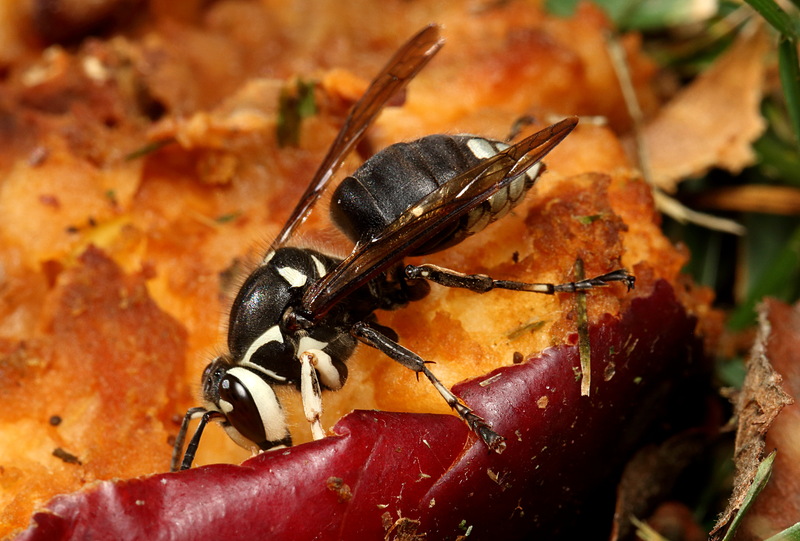 I recently learned that this species of wasp is not considered a true hornet. The European hornet (Vespa crabro) is considered a hornet, but our bald-faced hornet is really our largest yellowjacket wasp! This entry was written by whyevolutionistrue and posted on February 6, 2019 at 8:00 am and filed under insects, insects and other arthropods, photography. Bookmark the permalink. Follow any comments here with the RSS feed for this post. Both comments and trackbacks are currently closed. At first I thought it was a frog of some sort. Great pics Mark, as always. An enjoyable selection. Magnificent photos! I blew them up to a large size on my computer and the detail is amazing. Thank you so much for this post. The eyes are this way because their antennae have split the compound eyes. Is their some constraint imposed during development that requires the split? Why not just shift the antenna up? Dont’ know. In this particular family of beetles (Cerambycidae), it is common to see the compound eyes partly wrapped around the base of the antennae so the eyes are deeply ‘kidney shaped’. In this species they have taken that to the extreme by splitting the eyes. It is possible that the upper and lower eyes are now used for a different purpose, but I really don’t know anything about it. Amazing photographs, Mark, really beautiful! Great photos and interesting commentary, as always. 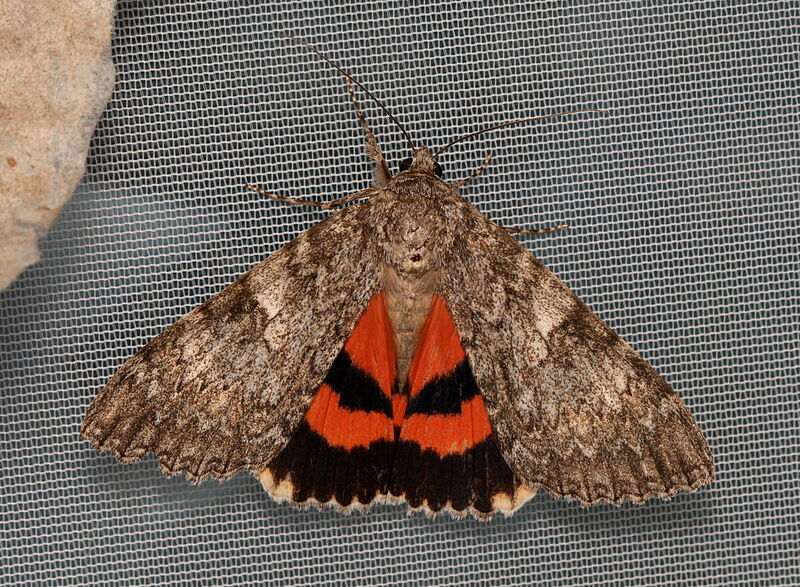 I have wondered about why underwing moths look like they do – thank you for the explanation! So how did you get the underwing moth to show its underwing? From your commentary, I gathered they show the colors when flying and hide them when landing. So did you capture this right after it landed, or perhaps in captivity it doesn’t hide the colors? Anyway, thanks for the killer arthropod macros and informative commentary. The capture and setting up for photography had disturbed it.